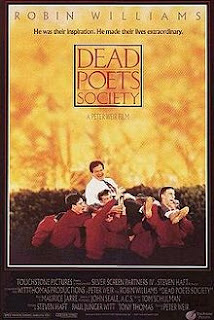 Reflection on Dead Poets Society and Whitman's Poem, O Life! *Literature teacher Keating waited a moment to let the lesson sink in. Then Keating grabbed onto his own throat and screamed horribly. "AHHHHGGGGG!!" he shouted. "Refuse! Garbage! Pus! Rip it out of your books. Go on, rip out the entire page! I want this rubbish in the trash where it belongs!" So begins Dead Poetry Society, a troubling, but powerful movie that grabs us by the throat with unexpected shock--a teacher telling students to rip pages out of their expensive hardbound literature books. Caution: I didn’t like the movie’s depressing climax--though I do admit that it is realistic, reminding me of the tragedies of students' lives here where I taught literature for many years. One brilliant girl cut herself repeatedly, responding to the emotional abuse of her often absent father. Nor do I agree with some of the film's philosophical and ethical points. Like most Hollywood movies, it seems to glorify various ethically wrong actions. 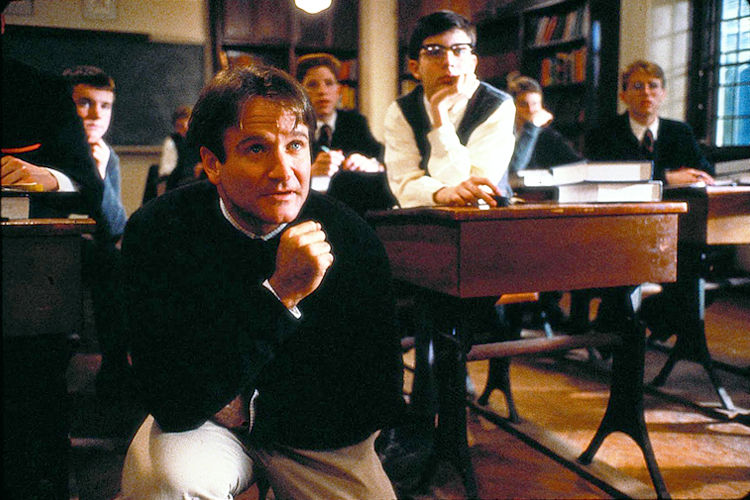 Robin Williams as teacher, John Keating, dramatically inspires and is life-changing. Williams creates an incredible acting performance as the idealistic professor at a strict New England prep school. The character, Keating, reminds me of one of our most creative teachers back when I was a naive teen growing up in Lincoln, Nebraska. Our teacher, Mr. Keene, (yes, that was his real name:-) had a similar eccentric, quirky humorous, thought-provoking way of taking us beyond rote learning, of making texts jolt alive and getting us plunged ocean-deep into thinking, reflecting, and creating. *The following morning John Keating sat in a chair beside his desk. His mood seemed serious and quiet. "Boys," he said as the class bell rang, "open your Pritchard text to page 21 of the introduction. Mr. Perry" - he gestured toward Neil - "kindly read aloud the first paragraph of the preface entitied 'Understanding Poetry'." 2) How important is that objective? Question 1 rates the poem's perfection, question 2 rates its importance. Once these questions have been answered, determining the poem's greatness becomes a relatively simple matter. If the poem's score for perfection is plotted on the horizontal of a graph and its importance is plotted on the vertical, then calculating the total area of the poem yields the measure of its greatness. A sonnet by Byron might score high on the vertical but only average on the horizontal. A Shakespearean sonnet, on the other hand, would score high both horizontally and vertically, yielding a massive total area, thereby revealing the poem to be truly great." Keating rose from his seat as Neil read and went to the blackboard. He drew a graph, demonstrating by lines and shading, how the Shakespeare poem would overwhelm the Byron poem. Neil continued reading. "As you proceed through the poetry in this book, practice this rating method. As your ability to evaluate poems in this manner grows, so will your enjoyment and understanding of poetry." Neil stopped, and Keating waited a moment to let the lesson sink in. Then Keating grabbed onto his own throat and screamed horribly. "AHHHHGGGGG!!" He grabbed the trash can and dramatically marched down the aisles, pausing for each boy to deposit the ripped page from his book. The whole class laughed and snickered. Keating strutted back to the front of the room, put the trash can on the floor and jumped into it. The boys laughed louder. Fire danced in Keating's eyes. He stomped the trash a few times, then stepped out and kicked the can away. "This is battle, boys," he cried. "War! 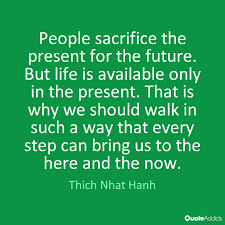 You are souls at a critical juncture. Either you will succumb to the will of academic hoi polloi, and the fruit will die on the vine - or you will triumph as individuals. "Have no fear, you will learn what this school wants you to learn in my class; however, if I do my job properly, you will also learn a great deal more. For example, you will learn to savor language and words because no matter what anyone tells you, words and ideas have the power to change the world." Keating slammed his hand on the wall behind him, and the sound reverberated like a drum. The entire class jumped and turned to the rear. "Well," Keating whispered defiantly. "I say - drivel! One reads poetry because he is a member of the human race, and the human race is filled with passion! Medicine, law, banking - these are necessary to sustain life. But poetry, romance, love, beauty? These are what we stay alive for!" "To quote from Whitman, "O me! O life!... 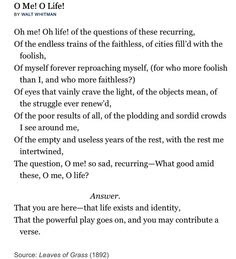 of the questions of these recurring; of the endless trains of the faithless... of cities filled with the foolish; what good amid these, O me, O life?" "Answer. That you are here - that life exists, and identity; that the powerful play goes on and you may contribute a verse. That the powerful play *goes on* and you may contribute a verse." Later, in the film, Keating emphasizes the romantic and pagan manifesto: "Carpe Diem." If "Carpe Diem" means "Live Up Today" in the usual secular meaning, then it isn't a worthy lesson to teach students. Think of how many young people wasted their lives because they took that sort of advice in the last few generations. However, one can--with a little creative license--turn Keating's meaning into one of deep significance, "Carpe Transcendence." Guest Post from UPLIFT: "Nobody is Born a Terrorist"
Could you seek to understand a human who has committed a terrorist war action? 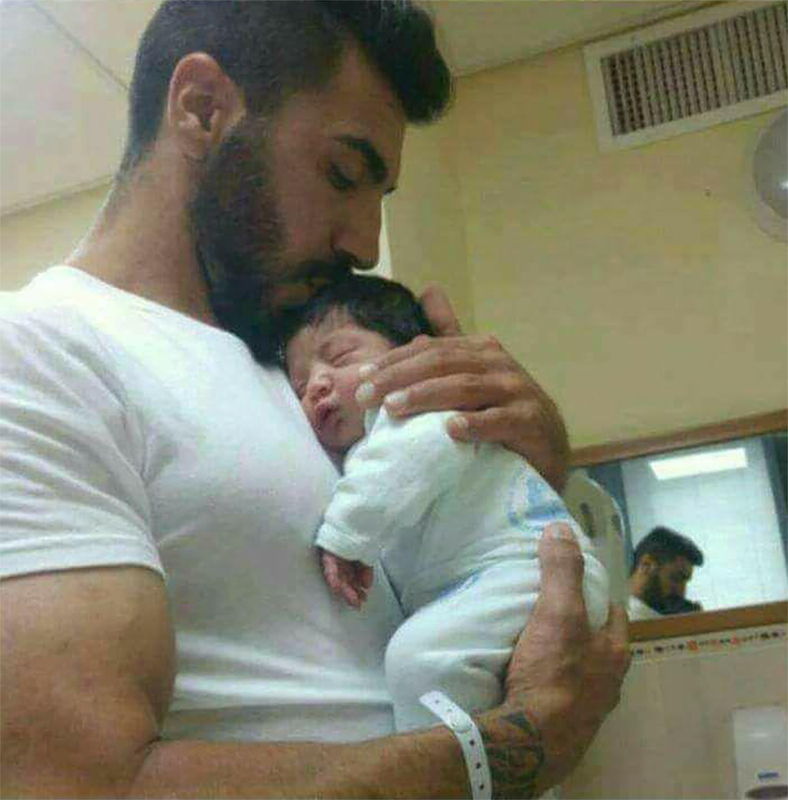 One of the killed police officers, Druze Ha'il Satwi, leaves behind his 3-week-old son and young wife. "Ha'il's cousin, Sheikh Asaid Satawi, lamented the Border Policeman's loss. "What good is this conflict, to make a two-week-old baby an orphan? I hope these would be the last casualties of this conflict; that the leaders would sit together and resolve the issues. Have every people in their own state. Enough with the bloodshed," he said. "The cousin described Ha'il as a happy person, who helped all and was beloved by all. "The service in Jerusalem is dangerous, that's well known, but he loved helping people. Everyone around him loved him and his laughter. He was a man who gave happiness to anyone who knew him," the sheikh said." 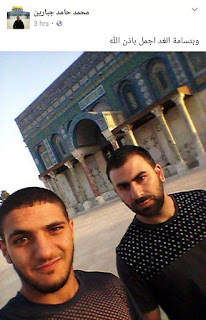 "The three terrorists were identified as Israeli Arab citizens from Umm al-Fahm: Muhammad Ahmad Muhammad Jabarin, 29, Muhammad Hamed Abed al-Atif Jabarin, 19, and Muhammad Ahmad Mafdel Jabarin, 19. 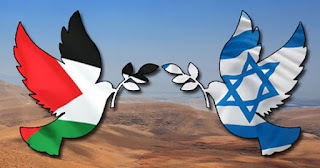 The terrorists have no previous history of security related offenses, according to the Shin Bet." "A member of the Fatah leadership, Abbas Zaki, said..."The three young men who were killed in Jerusalem were the ones who faced the real terrorism. 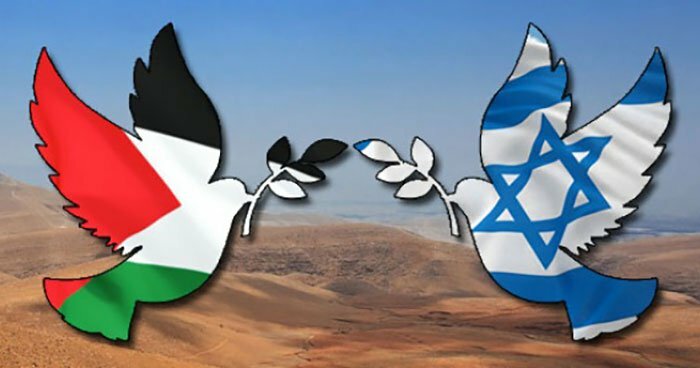 We are now paying the price of the fake peace from the Oslo Accords. 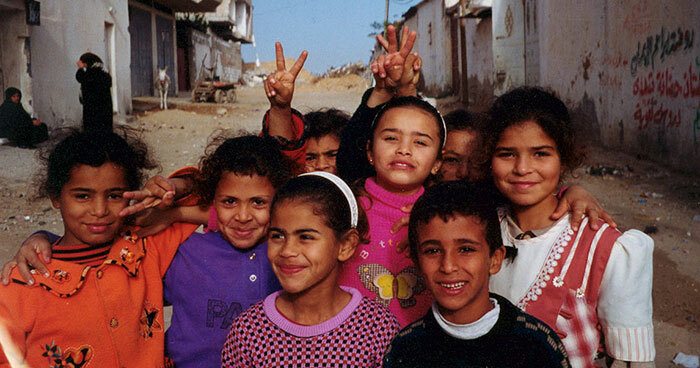 Resistance is the choice of all Palestinians and it is what will free the homeland." "The Hamas terror organization said the attack "is a natural response to the Israeli terrorism and the dirtying of the al-Aqsa Mosque. The attack shows the intifada continues and that our people are united behind the resistance." FROM UPLIFT: "Nobody is Born a Terrorist"
"Forgive them, for they know not what they do"
"If you’re reading this article, I’m impressed. It is quite taboo in Western culture to have any view other than complete and total contempt for those who commit heinous acts of terror. To entertain another possible view risks being the target of that scorn usually reserved for people whose actions we can comprehend the least. But if anyone is interested in living in a more peaceful world, then there is one question we should be asking that very few seem to be looking for answers to. What experiences must a human being have, what level of pain and disconnection have they had to endure to be capable of going on a suicide mission to execute disabled people one by one in a concert hall? Is there something within you that does not want to entertain this question? Would offering empathy to those committing these acts in addition to the victims of them take something away from the victims? Let me say firstly that my goal by entertaining this question is not to promote some utopic vision of the world that denies the horrific experiences were felt by victims from both sides of these conflicts. My goal is to find a solution to these atrocities. Whether they are committed in Paris or in Syria, it does not matter. All human life is worth the same. I am interested in prevention and in order to prevent a situation from happening, one must fully understand the truth of what compels that situation to occur. I think it is safe to assume that there are no infants associated with ISIS or Al Qaeda or any religion for that matter. No baby is born into this world hating another race of people. Hate is something that is learned through their experience on the planet. Omar Ismail Mostefai is the name of one of the “terrorists” that committed the recent attacks in Paris. Sometime between the time that he was born and the time he died committing those violent acts of terror, something happened to him to make him no longer care if he lives or dies so long as the he could inflict as much pain as possible on to the world. Isn’t anyone curious as to what those experiences were, not so that we can justify what he did, but so we can understand why he did it? I don’t mean the superficial “why” of “because Allah told him to kill all the infidels.” I mean the real deep “why”. What happened to Omar that made him want to kill another human being? What happened to make him decide to join ISIS? Did he have other opportunities for a peaceful life that he rejected? If we are interested in finding solutions, wouldn’t the answers to these questions be relevant? How can we protect the peacefulness of children? 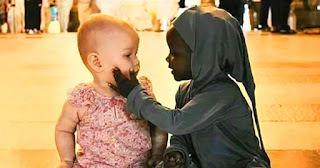 The truth is that Omar is a human being anatomically no different from you or me. There isn’t some separate race of being called “terrorists” that want to wipe out all the “non-terrorists.” And this also means recognizing that each of us might be capable of doing the same thing as Omar. The question is what would it take? For me, I imagine that it would take a truly catastrophic experience for me to want to commit an act of terror. There must be no possibility for me to live a peaceful life. If my family was murdered by a random bomb from the sky, if my government was infiltrated with corrupt diplomats with ties to foreign corporate interests, if access from the land was removed to grow food for people living abroad, I could see myself potentially being susceptible to a fundamentalist message that promised to give me some power, some feeling of control over the outcome of my life. But the truth is I don’t know what I would do. I don’t know what that feels like. But I can’t say for sure that I wouldn’t do exactly as Omar chose to do. Look, we can continue to engage in the same responses that we have for centuries. We can go on more crusades, drop more bombs, create more chaos, more broken families, more desire for revenge. If we do, I think we should not be surprised when those feeling the brunt of such actions want to lash out and make other people feel what they feel. Isn’t this what we do when we get hurt and the one that hurt us does not care or show remorse for how they hurt us? Don’t you have a desire to make them feel what you feel? We all know how to respond to terror attacks with fear and anger. 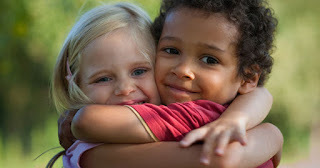 How might we respond with love? I think we begin by asking some of these tough questions that get at the real root of the desire to commit harm towards another. Doing so won’t be easy. We will have to confront the systemic atrocities that occur as a result of global capitalist society. We will have to confront our own pain that comes from our forced contribution to this system. And we will need to work together to find more sustainable ways of living on this planet. All of this begins by asking the right questions and making the attempt to understand each other, even when what they did feels unforgivable. At the end of the day, it’s your choice to respond to all situations with either fear or love. I hope you choose love." Turkish police have arrested the second Amnesty International Turkey leader within the space of a month. On the morning of July 5th, Turkish police arrested 8 human rights defenders and two trainers at a human rights meeting in Istanbul, Turkey. 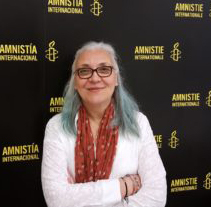 One of those arrested was Idil Eser, the Director of Amnesty International Turkey. "For over 24 hours, they weren’t allowed to contact their families or see a lawyer — and no one even knew where they were." The denial of free speech, restrictions against freedom of press, etc. and oppression of human rights defenders are becoming much worse in Turkey. "Idil and the others were doing nothing wrong. Some are being questioned on suspicion of “membership of an armed terrorist organization,” a baseless and ridiculous accusation." Please write to Turkish authorities asking for the immediate and unconditional release of all ten detainees as well as the Chair of Amnesty Turkey Taner Kiliç. Veli Acu (Human Rights Agenda Association). Also, please go to Amnesty International website and sign their petition. Sharp verbal edges of a ridged pulpit’s dock. She is no submissive wife or doctrinal concubine. Walker gives us readers an amazing distillation of the U.S.'s invasion of western Mexico and manages to combine both extensive references to previous historians, plenty of facts and quotations, vivid metaphors and pictorial language, amazing and fun anecdotes, his own editorial perspectives, and, above all, riveting suspense. 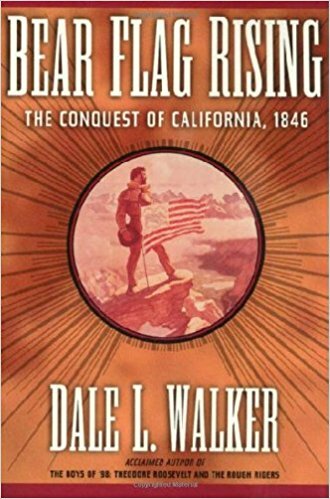 And now, having finished this excellent history of the Bear Flag Rebellion, I realize how drastically little I knew about the foundation of my own state, and, tragically, how even more immoral and unjust its founding was than I superficially knew. Yes, I already knew that Abraham Lincoln opposed the invasion of Mexico, as did Henry David Thoreau, and many abolitionists and ethicists. It's just that I didn't know how thoroughly dysfunctional, immoral, and unjust the whole U.S. invasion was. 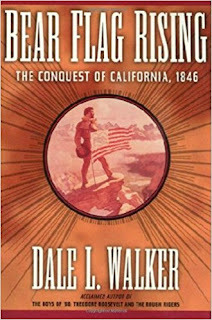 This powerful, vivid, biography-centered history of the conquest of California by the United States, shows how, mostly at the instigation of the new President, James Polk, the U.S. invaded and conquered, confiscating at the point of a canon almost half of Mexico! One of the first actions of the Bear Flag filibusters was the robbery of hundreds of horses. Remember, in the old West, horse theft was grounds for hanging! What a travesty and tragedy of national theft and killing (though fortunately not nearly as many were slaughtered as in Texas). 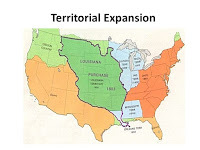 And weirdly, how this evil of politics, this myth of Manifest Destiny, yet turned out in the long historical run to be for the better, since Mexico was such an unjust mess then, and has ever since up to the present not escaped from its own internal demons. Historians state that the historical tragedy of Mexico’s dysfunction and injustice comes from the Spanish colonial system and worldview. So, again, as in other occasions of history, out of the U.S. evil actions, some good did come. Baffling how that works. Walker’s lucid book documents the views of past historians, shares his own conclusions, and is packed with vivid historical vignettes, fascinating biographical details, and odd historical tidbits. America can't be made "great, again" because, often in the past, it was unjust and immoral as in the cases of slavery, conquests, and national robbery and slaughter. BUT on this 4th of July, we Americans, can seek to make America more good, just, and true, promising to stop supporting Muslim regimes, promising to no longer invade nations which haven't invaded us, etc. *This short volume is even better than the fine histories and powerful biographies I’ve read recently on Texas and its leaders since returning from my historical journey through that state’s historical sites last month. *Some of the Texas sites I visited included the grandiose San Jacinto Monument (taller than the Washington Monument), Sam Houston’s gigantic statue, the Sam Houston Memorial Museum, the site of the last battle of the Civil War a month after Appomattox (! 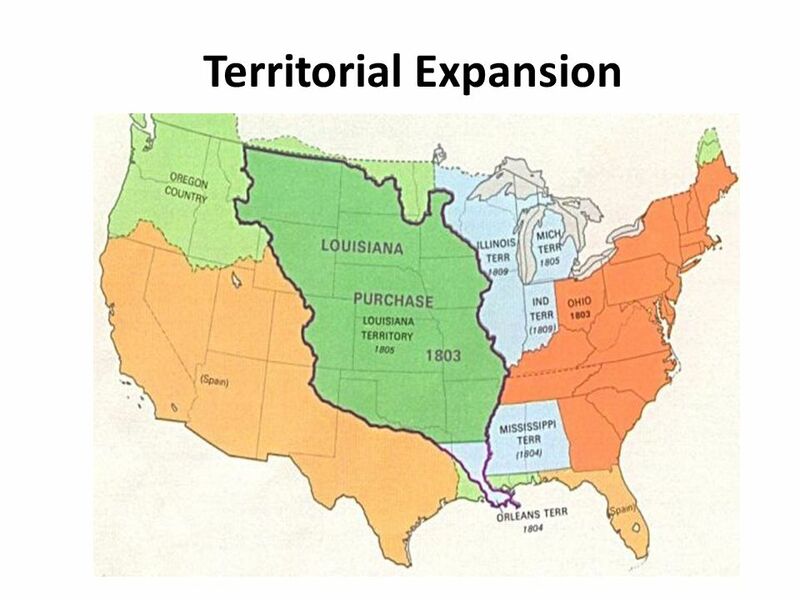 ), and the first battle site of the invasion of Mexico by Zachary Taylor (ordered by President Polk). Labels: Bear Flag Revolt, California, Dale L. Walker, dysfunctional, Evil, horse thieves, injustice, invasions, Make America Great Again, Manifest Destiny, Mexico, slaughter, Spanish Colonial System, Texas, tragic, U.S.